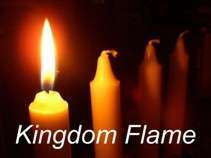 Kingdom Flame is a non-profit, non-denominational Christian Ministry that is supported by viewers like you. Our mission is to spread the Gospel and Kingdom of Jesus Christ throughout the world. To make a one-time donation, just click the “Donate” button below, or to register as a Kingdom Flame partner, see the options below that. Donations are Tax-Deductible in the United States. You can also support us by becoming a Kingdom Flame Ministry Partner and receive complimentary VIP access to a our regular Live Conference Web streams, Extended Viewing access to our previous 10 conferences, including Teaching and Live Worship, access to special subscriber-only content, and a 40% discount on all media purchases! If you prefer to donate yearly, you can receive a full year of Kingdom Flame Partner access and benefits for a one-time donation of 120.00 or more. Just enter the amount you want to donate below. help take Kingdom Flame to the next level? Kingdom Flame is a full internet TV station, broadcasting 24 hours a day, 7 days a week. At a minimum, we need to increase our station budget by at least 20.00 per hour to pay for additional Web Servers Staff and to cover the expected 500% growth in internet bandwidth. We are trusting the Lord to bring us monthly partners for each of the 720 hours in a month. Please help us fulfill this vision by sponsoring a broadcast segment each month, by choosing one of the monthly partner levels below. Become a Partner Ministry helping Kingdom Flame Reach the Nations with The Gospel of Jesus Christ through Internet Broadcasting.